Teddy fought for equality, but his track record on women’s issues was lacking. Amy Siskind makes the case for ending his family’s hold on the Senate seat—and giving it to a woman. Former U.S. Rep. Joe Kennedy II’s announcement that he won’t seek to succeed his uncle in the U.S. Senate is good news. Not because he wouldn’t make a good senator. But because he’s more of the same. And despite all that the Kennedy family has done for civil rights and the less fortunate, its leaders—including the dear departed Sen. Edward Kennedy—have had a complicated record on women’s issues. Massachusetts has a chance to move our country forward by putting a woman in his seat. Women especially have wrestled with Ted Kennedy’s legacy—and the dichotomy he represented. He did so much for so many. And yet his record, and his personal conduct, have created feelings of angst and unease. And so we perseverate in article after article, conversation after conversation, as if endless rehashing and tallying the score will help settle matters. In a recent study that measured percentage of women in national parliaments, the U.S. ranked an embarrassing 71st in the world. Appointing a woman to his seat would solve the problem. With this simple act, the death of a crusader could mark the dawn of a new political era. How historically exquisite: Just as the assassinations of John and Robert Kennedy helped spur our march toward racial equality, Ted’s passing could help usher in a time of true gender equality. I grew up in Massachusetts, the land of the Kennedys. From the time I was a young girl, my mother brought politics to life through stories of the Kennedys and the Roosevelts. For her, these political dynasties were the embodiment of the Democratic Party ideals she held dear. But as I got older, some confusing and contradictory bits of information emerged about these heroes. Sitting at an extended family dinner for Thanksgiving or Passover, the personal lives of the Kennedy men would come up. I’d hear words like “philanderer,” and phrases like “he killed her.” I didn’t really understand what it all meant, or how legendary figures could do such things. My mother, the matriarch at the end of the table would simply declare: “He's a good man"—family code for switching topics to the Red Sox. In my mother's day, things were different. Politicians’ personal lives were just that—personal. And though my mother was born in 1920, the year that women in this country finally got the right to vote, she did not prioritize or identify with women's issues in any way. Yet she and my father were proud to march for civil rights in the 1960s. This was the right thing to do. Without question, Ted Kennedy devoted his life to finishing the important work that his brothers started in the name of race relations and the dignity of the poor. When it comes to women’s issues, though, his record is sparse and tangential. He championed issues impacting children, helping to write No Child Left Behind and improvements in children’s health insurance; yes, women raise the majority of the country’s children. And Kennedy fought for the minimum wage; and yes, women are disproportionately impacted by poverty. Yet other than his work on Title IX, it’s a struggle to find his leadership on women’s issues. Fast forward to the 2008 campaign. Even to those of my mother’s generation, Ted Kennedy's treatment of the Democratic Party's first viable female presidential candidate was puzzling. The state of Massachusetts had given Hillary Clinton a 15-point victory in the Democratic primary, yet both Massachusetts senators and the Massachusetts governor decided to ignore that. Then, after Hillary Clinton had conceded, Ted Kennedy vociferously spoke against her becoming Obama's running mate. Suddenly, Ted Kennedy's disrespectful attitude toward women in his personal life emerged on the public stage. The personal is political. Or is it? If my mother were alive today I know what she would say: Ted Kennedy was a good man. And I agree. He spent a lifetime in public service always seeking to move our country forward. He was a voice for a segment of our population that is often invisible. And our country wants to put his lifetime of hard work and achievement into a positive light. We are, after all, a country that loves a happy ending. That is why having yet another Kennedy man take his Senate seat is the wrong thing to do—not only for our country, but for Ted Kennedy's legacy. This would be a symbolic step into quicksand, as opposed to the step forward that our country needs to move on and put our mixed feelings about Teddy at ease. There’s no questioning the need for progress. Women are shockingly underrepresented in American government—making up more than half the population, but holding only 17 percent of the seats in the U.S. House and Senate. In a recent study done by the Inter-Parliamentary Union, which measured percentage of women in national parliaments, the U.S. ranked an embarrassing 71st in the world. Even seemingly progressive states like Massachusetts have been stymied by patriarchal bloodlines. That makes the land of the Kennedys a crucial place to start fixing the problem. Massachusetts should take the lead in starting a gender-equality movement in the name of Senator Ted Kennedy. Martha Coakley, Massachusetts’ first female attorney general, was the first candidate to throw her hat in the ring. She’s the “real deal”—with more than two decades of public service and an impeccable list of accomplishments and honors to her name. The state is well-stocked with other qualified political women—such as former Gov. Jane Swift, who, some may recall, was one of the first women to speak out against the sexism directed at Sarah Palin during the 2008 presidential election. Among the others: former lieutenant governor Kerry Healey, and Kennedy’s widow, Victoria Reggie Kennedy, both of whom have said they do not intend to seek the seat. In 1870, our country passed legislation granting men of all skin colors the right to vote. Yet it would be another half century before the women of this country gained that same right. Half a century after it was "the right thing to do" for Americans to march for civil rights, our country could be ready to step forward yet again. And with this one election, the legacy of Ted Kennedy could be put to rest and remembered, as with his brothers before him, as a turning point in our great country's march of progress. 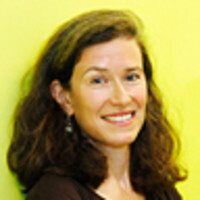 Amy Siskind is the president and co-founder of The New Agenda, an organization dedicated to improving the lives of women and girls. Ms. Siskind has appeared on CNN, Fox, and PBS. Ms. Siskind also writes for HuffPo and MORE.